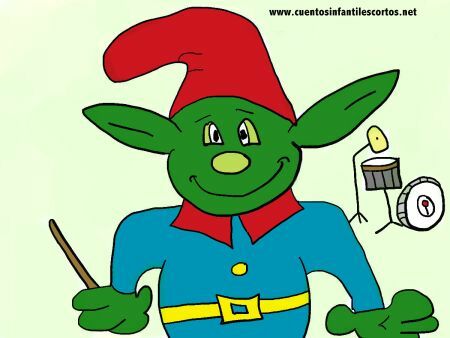 In a house in a tree lived a beautiful goblin called Iris, he used to dress in colourful clothes inspired by the colours of the rainbow. He was very happy and wanted all the kids in the world to be happy too. So one day he decided to go out to look for children that were sad and help them. Unfortunately he found a lot of them. Iris couldn´t believe it, and wanted to do something to help them but thought that maybe if he approached them, they would run away scared of him, so he had to make a plan. – “I will tell them I´m a clown coming from a circus” – he thought. And so that is what he did. He visited all the sad kids and became their friend. He gave them everything they needed and showed them his rainbow world. Iris made the Kids smile again, and he was very satisfied to see them happy, because no kid should ever be sad.